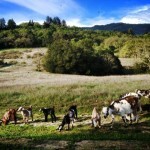 In 2009 we moved our family of 5 from suburban San Fernando Valley (Los Angeles County) to rural Glen Ellen. This was not ‘flight from the city’ but a home-coming; a chance to move back onto the property where my husband grew up, bordering the SDC and Asbury Creek, in the shadow of Sonoma Mountain. Our property has been in the Lee family closing-in on 40 years, but the history is rich here, and previous owners included Vallejo, Chauvet, and Pagani. As I sit watching the clouds lick at the ridge of the Sonoma Mountain to our west or look up from our orchard to see how the sun is playing off Mt. Hood to the north, I think about the other folks who have occupied this flank of the mountain, looking up from their work to those exact same views. 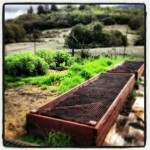 Our 5 acre parcel was once covered in vineyard, one of the oldest in the valley. If you ride on our mower you can still feel the undulating ghost of the grape rows under the blade. The vines are gone, but we are continuing the ag tradition from those early days of Chauvet and Pagani’s viticulture, morphing into vegetable gardening and animal husbandry passed down through my in-laws, and then expanded by our little family. 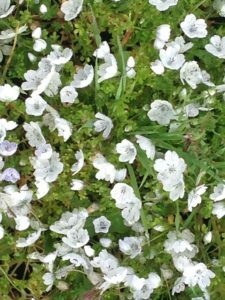 What started as our ‘quaint’ desire to ‘get back to the land and grow our own food’, has blossomed over the past several years into a small family farm business. As Two Moon Family Farm, we sell eggs and produce to several local restaurants and at the farmer’s market (Kenwood Community Farmers Market). 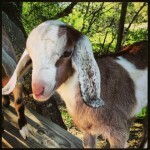 In addition we raise goats and the occasional turkeys and lamb for our own family. 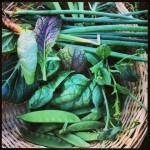 Our children understand where food comes from and we are carrying on the tradition of having a small homestead farm on the side of Sonoma Mountain. 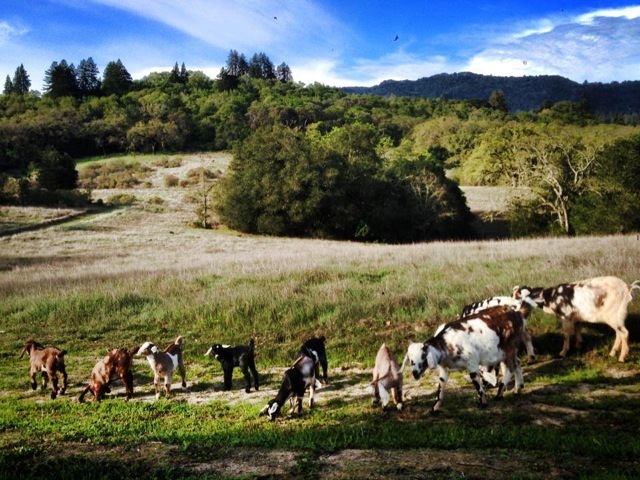 It is amazing to live on an interface between the wilds of the mountain and the village of Glen Ellen. Our farm is surrounded by open, natural habitat. The wildlife we see every day is always a great form of entertainment for our long-time city friends when they come to visit ‘Camp Lee’. Out our window we’ve seen bobcats, jackrabbits, raccoons, quail, deer, skunk, ground squirrels, woodpeckers, turkey vultures, hawks, snakes, coyotes, etc… Currently we have three ‘families’ of wild turkeys wandering about- three hens with at least 10 chicks in tow. Steve has distinct memories of wild pig encounters while growing up here, although they have since been actively removed from the mountain. And, of course, there are mountain lions. Although we haven’t seen a cat directly, we know that they share this mountain with us, and we’ve seen the evidence of their behavior. Hikers on treks just up beyond our fence have reported them and we had a young goat taken by a lion early in our adventures, when we hadn’t yet fully secured our night-time penning situation. We love overlapping with the nature of this mountain even when predators ‘visit’ the farm. It sometimes feels like a dream when I look up from my work in the garden to see the changing light on the hills and valleys on our side of the mountain. There is a sort of magic here. Just slightly up the hill to our north west is the ruin of Jack London’s Wolf House. I know he was drawn here by that same pulse. My husband knows almost every foot of this mountain, that he often refers to as ‘his backyard’. And it is…. but it is yours too…. with all of it’s history, wildlife, and magic. Shannon and Steven Lee are trained marine scientists who have more recently taken on farming. They have numerous ‘jobs’ but are primarily science educators and researchers, respectively. 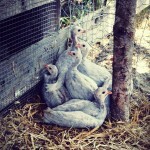 They share the property with their three children, Steven’s parents, 10 goats, 20 hens, several roosters, and 2 barn cats. Recreation on the mountain can include wine tasting, visiting Morton’s Warm Springs, attending a retreat at the Westerbeke Ranch, or, as most visitors and residents do, heading to a park, principally Jack London State Historic Park. To reach Jack London State Historic Park, take London Ranch Road south out of Glen Ellen and follow it to the end. Parking costs $7/day. No dogs are allowed out of the historic section of the park, which is near the entrance. Bikes are restricted to designated fire roads and several trails. Cyclists need to watch for sign at trailheads and observe season restrictions. First time visitors often start by touring the historic buildings, including the burned-out Wolf House, the summer cottage and museum, and the barn and must-see Pig Palace. Then on to the hikes. 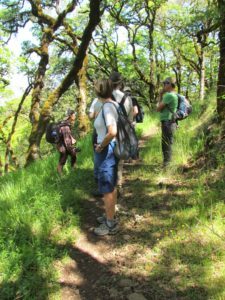 Major trails inside Jack London State Historic Park include the Mountain Trail, a six-mile round trip, which starts at the parking lot and climbs past London Lake to the top of Sonoma Mountain, via either the Summit Trail or the Hayfields Loop. Signage along the way makes sense and can easily be followed. 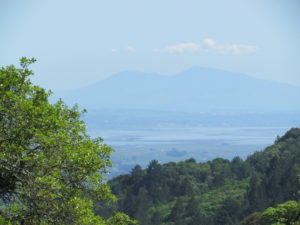 The Sonoma Ridge Trail, a 10-mile loop, begins about two miles from the parking lot, leaves the Mountain Trail to the left and rises along a ridge to afford great views of Sonoma Valley, Mt. Diablo, Mt. Tamalpais, Mt. St. Helena and much of the Bay Area. Shorter trails take off from the Mountain Trail around London Lake, including Fallen Bridge trail (yes, there is a fallen bridge) which follows Asbury Creek canyon into the old London Ranch orchards and some old growth redwoods. 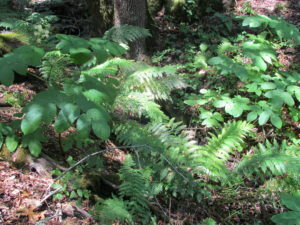 For the adventurous, several steep trails lead down to the Sonoma Development Center’s peaceful Fern Lake. 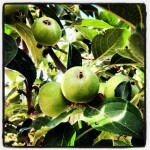 Trails also wander through the old Jack London Beauty Ranch orchard (pear trail, apple trail, etc.) and circle the historical buildings, including the Wolf House ruins. Two lengthy new trails are in the works. 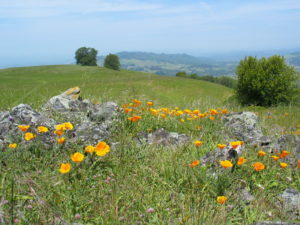 The first, called the North Slope Sonoma Mountain Ridge Trail, currently under construction, will run 4.25 miles, connecting on the east with the Hayfields Loop in JLSHP and the west with a new public parking/trail staging area at Jacobs Ranch, about three miles up Sonoma Mt. Road, going east from the fire station on Bennett Valley Rd. The trail will end at one of the highest points in JLSHP. 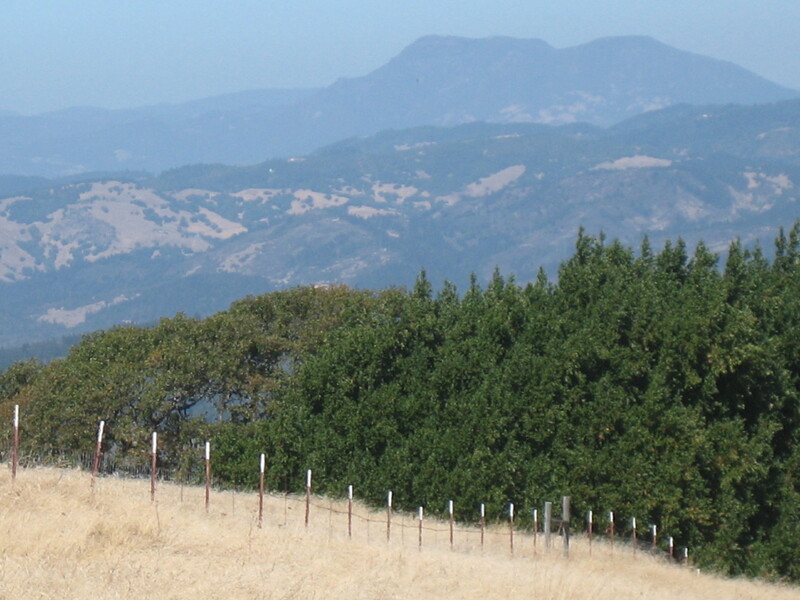 Rising along the north slope of the mountain, it will afford view of the Mayacamas Range and Sonoma Valley to the east and Santa Rosa to the west. It will also, eventually, comprise a section of the Bay Area Ridge Trail. 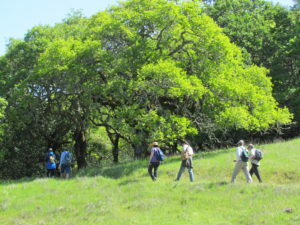 Jacobs Ranch, an Open Space District preserve, may be open for short hikes, depending on conditions of access roads. Check with Sonoma County Open Space District before trying to enter. 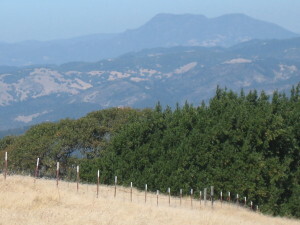 Another ambitious undertaking, the South Slope Trail, with a planned ground breaking in April 2011, will add about four miles to the Sonoma Ridge Trail (see above). It will provide a 140miles round trip from the JLSHP parking lot. Watch our website for news on this major feature. To get started exploring the mountain, you can enjoy organized hikes with trained and knowledgeable leaders. 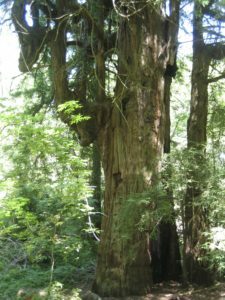 Contact the non-profit LandPaths and/or state parks volunteers Bill Meyers or Dave Chalk at (707) 539-8847 or to the website for State or Regional Parks. Dave and Bill offer monthly hikes at 10 a.m. on Saturdays. Most hikes average about 40 participants and are as much social event as hiking exercise. Hikes are called moderately strenuous, but the do end with a tailgate party in the parking log. You can bring you own horses to Jack London State Historic Park, parking your trailer in the upper parking lot at the far west end. Horses must stay on designated fire roads and trails. Guided trail rides can arranged by calling Triple Creek Horse Outfit in Glen Ellen (707) 887-8700 or go the their website. For a romantic, low-key, somewhat rustic getaway, redolent with history and steeped in the culture of the mountain, few places compare with Westerbeke Ranch, off Grove Street, west of Arnold Drive in Sonoma. The property that is now Westerbeke Ranch was purchased by long time residents Richard and Muriel Van Hoosear as a vacation retreat for themselves and their three daughters. The buildings and grounds developed as their family grew. Richard and Muriel loved to travel and on each trip to Mexico or Spain they returned with new architectural ideas and decorations. In the late 1960’s the ranch was transformed into the conference center it is today. The Westerbeke family invites visitors to enjoy their home and workplace. To make an appointment for a tour, for more information about weddings or other events at the ranch, or for additional information, go to their web site www.westranch.com. 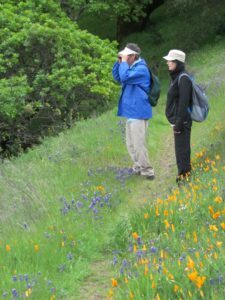 Another Van Hoosear family contribution to the region consists of the 163-acre preserve at the foot of Sonoma Mountain off Carriger Road known and treasured for its abundance and variety of wildflowers. 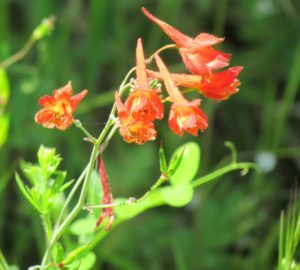 Over 250 species of common and rare wildflowers and native grasses thrive throughout the property. 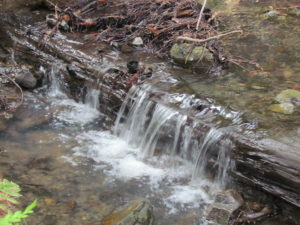 Carriger Creek, a tributary of Sonoma Creek, runs through the preserve. 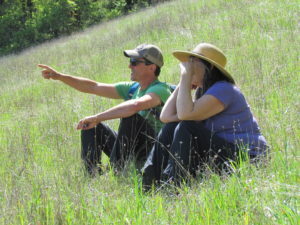 The property is managed by the Sonoma Ecology Center, with dual goals of protecting the preserve’s botanical, aquatic and wildlife values and providing public access for educational purposes. 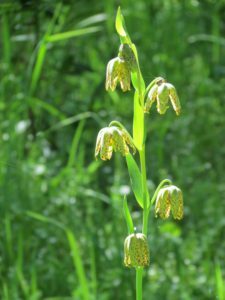 Now protected by an Open Space District conservation easement, the preserve welcomes visitors by guided tour each year during the spring when the flowers are at their peak. Reservations are required and space is limited; for reservations, contact Elly Seelye at (707) 996-0712 ext. 124, or email elly@sonomaecologycenter.org. A donation of $20 per adult and $10 per child is requested, though no one will be turned away. On your way to or from Jack London State Park, pull of London Ranch Road into the Benziger Family Winery. The entire portfolio of Benziger wine is certified sustainable, organic or biodynamic. 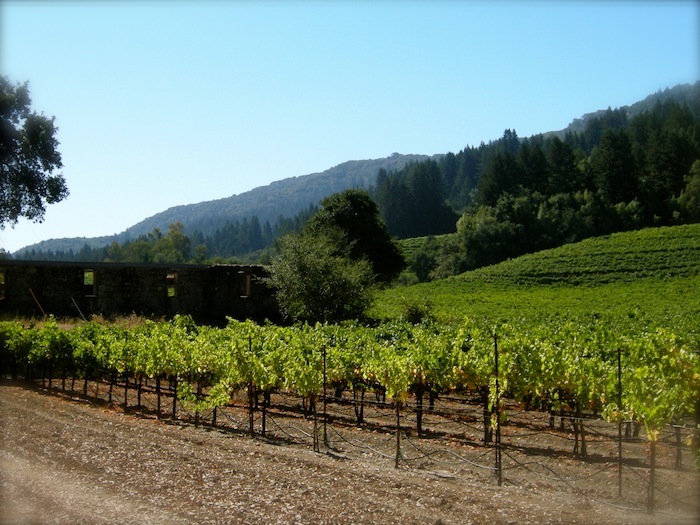 The Benziger family has been growing grapes on Sonoma Mountain for almost 30 years. According to the co-owner Chris Benziger, his brother Mike and sister in-law Mary discovered the vineyard in the late 70’s and purchased it with help form their parents. Three other brothers and a sister joined the business. 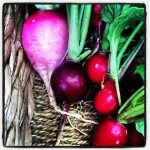 “In the beginning we farmed the same way as everyone else around here. You spray to keep the weeds in check, to keep the bugs away, and to increase yields,” observed Chris. But, he added, after a few years Mike pushed the family to consider something different. To discover the results of their transition to a more sustainable yet still commercially viable model, go to their website www.benziger.com for information on tours and tastings. 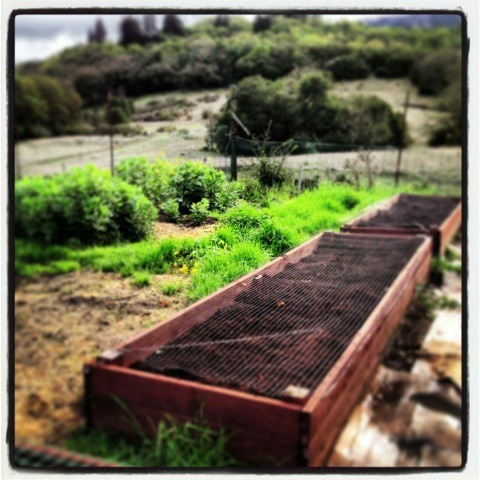 The Sonoma Mountain Zen Center (or, Genjoji) is an 80-acre Soto Zen practice center located on Sonoma Mountain Rd. Founded by Jakusho Kwong and his wife Laura Kwong in 1973, Kwong-roshi is the current guiding teacher of the Zen center. The center offers residential training and a practice regimen for local members and visitors from all over. The Zen Center supports itself through members’ donations, proceeds from its Zen Dust bookstore, and by offering rooms for rent. 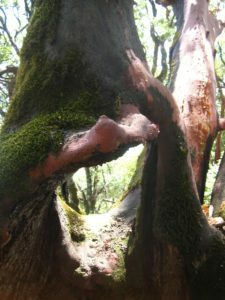 “Near the top of the mountain, the road dips, bends, then snakes through a small grove of redwoods. The dense canopy blocks all ambient light, so that when you emerge on the other side of the grove, you feel as though you’ve passed through a portal into another world. 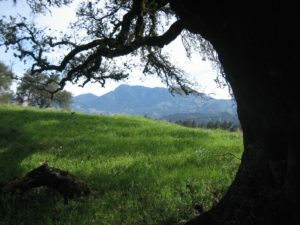 It’s a fitting way to approach Sonoma Mountain Zen Center, because people there view reality just a little bit differently from the way most of us do.” For more information on programs and access, go to www.smzc.net. Bordering Sonoma Creek just west of Glen Ellen and nestled among a canopy of large oaks, open meadows and rolling hills, Morton’s Warm Springs is perfect for picnics, reunions, family recreation, corporate retreats and meetings, weddings, and class field trips. The Wappo Indians, early residents of the area, recognized the healing properties of the geothermal mineral springs and considered the waters sacred. In 1939 Ethel and Harold Morton purchased the property and began operating it as Morton’s Warm Springs Resort. The site not includes natural mineral pool, picnic and BBQ sites, bocce ball and a variety of other courts and fields. Morton’s is open during summer months; go to their website for directions, dates and times.